The disinvestment of Air India and rise in fuel prices are likely to be discussed on Tuesday. 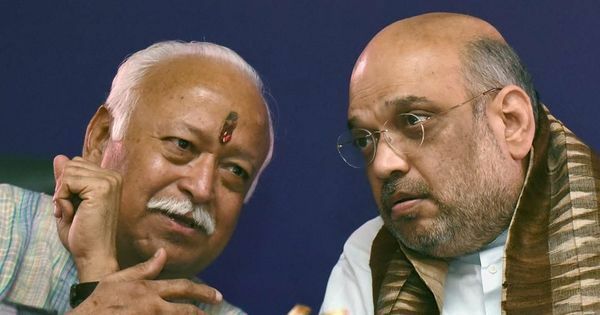 Bharatiya Janata Party leaders, including party President Amit Shah, and six cabinet ministers met the leadership of the Rashtriya Swayamsevak Sangh in New Delhi on Monday to discuss government programmes and policies, PTI reported. RSS Joint General Secretary Krishna Gopal chaired the meeting that was also attended by BJP Vice-President Vinay Sahasrabuddhe, General Secretary Ram Madhav and Secretary Ram Lal. Union ministers Rajyavardhan Rathore, JP Nadda, Maneka Gandhi, Mahesh Sharma, Prakash Javadekar and Thawarchand Gehlot represented the government. Leaders from the RSS’ different departments such as the social work wing, the education wing, and the body dealing with ideological issues held meetings with the top BJP leaders and government ministers. They reportedly provided them feedback about how the government’s schemes can be better implemented and made suggestions about drafting new policies. These meetings may continue for the next two days, and are likely to shape the ruling party’s plans ahead of a series of state elections this year and the 2019 General Election, Hindustan Times reported last week. The disinvestment of Air India and rise in fuel prices are likely to be discussed on Tuesday. Finance and Railways minister Piyush Goyal, and commerce and civil aviation minister Suresh Prabhu are expected to be present, PTI reported. The RSS’ economic group, comprising the Bhartiya Mazdoor Sangh, the Bhartiya Kisan Sangh, the Laghu Udyog Bharti and the Swadeshi Jagran Manch, are scheduled to present their reports and feedback on the government’s economic policies. 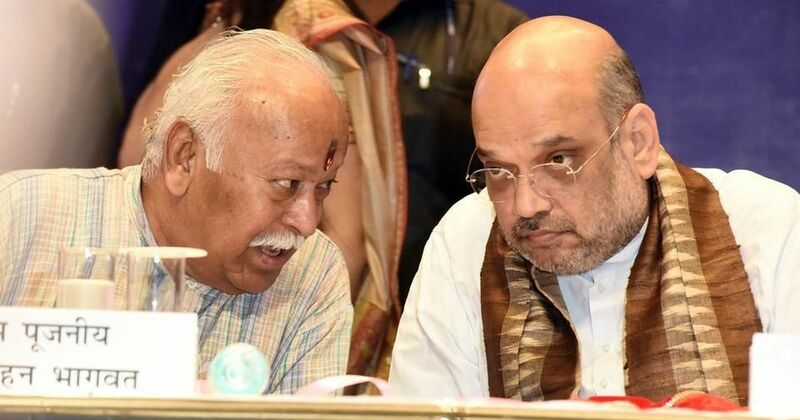 Why did the RSS decide to weigh in on the Jay Shah controversy?